Share happiness & music with Coca-Cola this season! Coca-Cola Sri Lanka has launched a special campaign this summer to encourage Sri Lankan’s youth to share happiness with music and Coca-Cola. The ‘Coke Ekka Rock Wenna’ (Rock with Coke) Campaign is a way for youngsters across Sri Lanka to connect with music and win Coca-Cola music goodies, including a Coca-Cola Boom Bag which allows users to carry their music with them and share it with others on-the-go. The bag has speakers on the outside, and can be used to play music from a phone, mobile music device or any MP3 Player, anytime-anywhere! “Coca-Cola universally stands for optimism and happiness and music is something that connects people universally as we, so we want to connect consumers in Sri Lanka to music with Coca-Cola.” says Abhishek Jugran, Country Manager- Sri Lanka and Maldives, Coca-Cola Far East Ltd. “The youth of today are very passionate about music and connect emotionally with it. We wanted to create a platform to build social connections and spread happiness using music. We hope that people across Sri Lanka will enjoy the campaign and spread happiness by sharing their music with people around them.” he added. 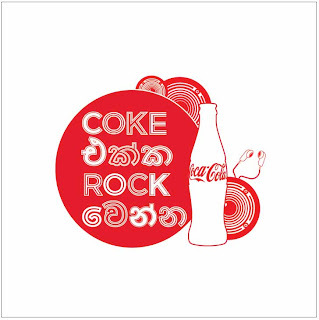 The Coke Ekka Rock Wenna Campaign will run from 29th July 2013 to 12th September 2013. Consumers can participate in this activation by sending the unique 6 character alpha-numeric code numbers printed behind the labels or under the crowns by text messages (SMS) to 8778, and get a chance to win a Boom bag every 10 minutes*. The offer is valid on 175ml and 300ml glass bottles of Coca-Cola, Fanta Orange, Fanta Portello, Fanta Cream Soda and Sprite, as well as on 500ml PET Coca-Cola bottles. Consumers who participate in the campaign could win a cool Coca-Cola Boom Bag and lots of other music goodies, including digital Coca-Cola music prizes, including Coca-Cola Music Wall papers, ring tones, songs, that allows them to share music with anyone on-the-go. The Campaign showcases the happy energy of music and how it infuses happiness in everyone spontaneously. The campaign is being amplified through an integrated marketing campaign that is connecting with teens through a multitude of platforms. This includes a TVC with Sri Lankan cricketing stars- Mahela Jayawardane and Kumar Sangakkara, music shows on television, radio announcement of winners and culminates with a mega concert that will bring hundreds of teenagers together to enjoy rock music. 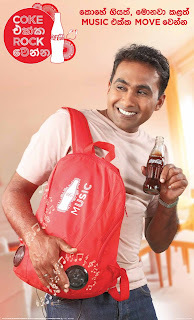 The campaign will also be amplified on digital and social media platforms through a special partnership with the popular music site.- Music.lk/coke. The special microsite will allow consumers to listen and share their favourite songs with their friends instantly, as well as be a part of online hangout sessions with some of the most popular Sri Lankan music celebrities. Consumers need to purchase a 175ml and 300ml glass bottles of Coca-Cola, Fanta Orange, Fanta Portello, Fanta Cream Soda and Sprite, having a green crown or a 500ml PET Coca-Cola bottles with special Coke Ekka Rock Wenna labels. The consumers can then get the Unique 6 character alpha-numeric code under the crown for glass bottles or behind the label for PET bottlesThe consumers can then send the 6 (six) digit alphanumeric Unique Code to 8778 via SMS, by typing COKE (space) ‘six (06) digit Pin Number’ (Example: COKE A19476), from their mobile phonethrough one of the Authorized Service Providers. The lucky winners must retain the Crown or Label with the Unique Code, and produce them for verification in order to claim their prize. Consumers can visit the website, coca-cola.com/lk for other details relating to the promotion, or call at the consumer helpline number: 0112 487 777.Service Providers. Only pre-paid and post-paid mobile users are eligible to enter into the ‘Coke Ekka Rock Wenna’ promotion, from the following five (05) authorised mobile phone service operators.Fixed-line operators (CDMA) are not included. (i) Dialog (ii) Hutch (iii) Mobitel (iv) Airtel (v) Etisalat. Consumer will receive a text message that acknowledges that the code has been received. You have now entered the draw. Drink more, SMS more & keep your crowns to win a Coke Boom Bag*. Visit Coca-Cola.com/lk to win digital goodies. *T&C Apply. Boom Bag Draw, and to redeem instant prizes are subject to verification and validation. any win should accompany the genuine crown. 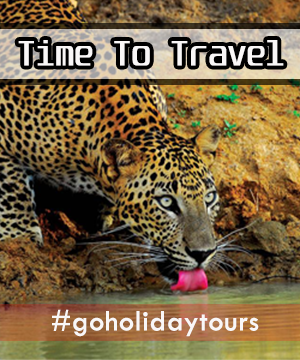 The promotion is open only to residents of Sri Lanka. The promotion will be valid from 12 am on 29th July 2013 to 12 am on 12th September 2013,and can be entered into subject to the terms & conditions specified herein. 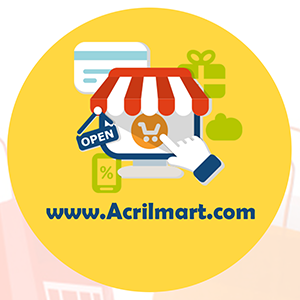 With the aim of giving a fair chance for initial entries of the promotion, the Data in all the eligible crowns will not be pooled for the Draw on the first two days of the promotion. From the 3rd day onwards the Draw will take place every day from 10 am to 6 pm every 10 minutes to select winners for Coke Boom Bags. For further inquiries call hotline number 0112 487 777 (this number is valid only till 17.00 hours on 19th September 2013). One Promotional Green Crown has only one winning chance. Coca-Cola in Sri Lanka refreshes thousands of consumers throughout the country with an exciting range of beverages including Coca-Cola, Coca-Cola Light, Sprite, Fanta Orange, Fanta Portello, Fanta Cream Soda, Lion Soda, Lion Tonic Water, Lion Gingerale, Lion Ginger Beer, Schweppes Tonic Water, Minute Maid Orange, Minute Maid Mango, Minute Maid Apple and Minute Maid Mixed Fruit. The Coca-Cola System in Sri Lanka employs more than 400 people. Coca-Cola undertakes a number of community development and sustainability projects like the Coca-Cola Cricket Pathways to promote healthy active living, water and sanitation projects in partnership with organizations like United Nations Development Programme and Habitat for Humanity and PET collection and recycling with the Central Environmental Authority.